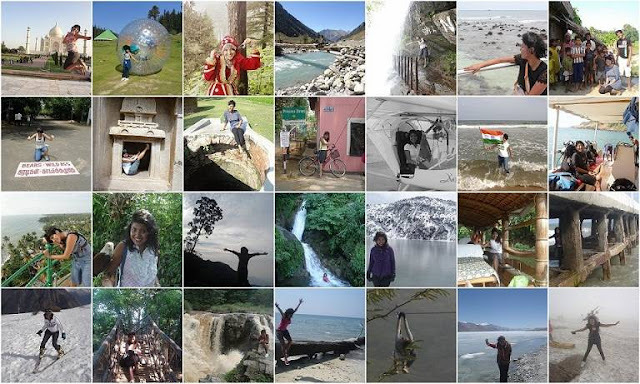 I feel a great sense of pride on the beautifully crafted colorful timeline with my travel pictures on my Facebook wall. 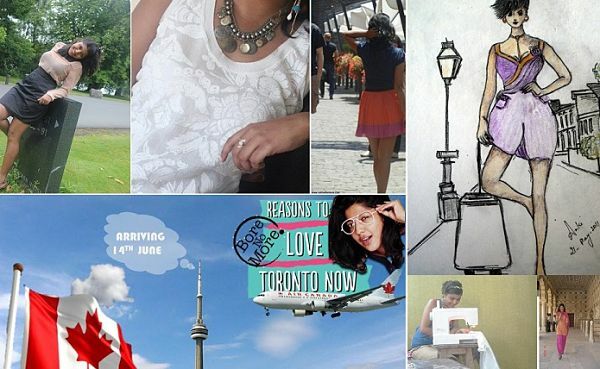 While the comments pour in on my success of my recent article in a publication and my self-created travel videos, I look back at the stumbles I have overgrown over the years. My biggest support isn't just one women but many I met during my journey called life. My mom has been my most influential support no doubt, but along with has been my cousins, my friends, people that I have met, independent women who inspire,dependent women who have had stories of sacrifice with grace, married women who knew how to balance life with career, women who had kids as their priority and women who had career as their priority, women who knew what they wanted from life, and women who are daredevils in their own world like Archana Sardana(India's first women Skydiver),Anita(Para glider with Temple pilots) and Capt. Vinitha(Microlight Flying Training Instructor). Women who were a mentor in their own sense in the form of friend,aunties,teacher or even my own maid. But today I wish to talk about me, I may not be a trend changer or a trendsetter, but the most fulfilling remark I got of late is from my mom "You made us proud. We never thought that you could reach such heights in a territory so unmarked and undefined. You inspire us to start with our hobbies again at this age. You make us smile everyday with the inspiration". That might keep you guessing who I am. But I have a humble definition to my work "I am a travel and adventure blogger at Ankionthemove since 1.5 years and by choice. I travel to national and international destinations, and bring about those destinations in the form of self-made videos and conversational write-up so that people travel on their own to those places. I also write about adventure sports and the inspiring people behind them. I believe that people who really contribute to society are the ones who deserve more respect.I conduct PAN India travelers meet to meet new travelers,make friends and understand what is that they are looking for while travelling and also to form travel groups". If that makes you think, just another travel blogger..Then wait. I quit my IT and adventure job 1 year back after working for 5 years and since then I am on move. I also work for Skydiving team in India apart from Blogging to learn and manage my financial need. I do so, because I love doing so. How many of us can claim that? As Tanishq Recent Mia Collection, my needs are very minimal and unique. I started off very small. I still remember the days when I used to carry my small Sony Digicam around Bangalore to record my voice in the open with tripod in one hand. People would stare at me or ask me if I was from TV. And all I had was an answer no, I am just a blogger. At times, when I took interviews, I felt shy to hold my small camera, it was a digicam after-all.Sometimes I took help from my husband,my friends,or even general people on road to hold my camera.Back then and even now my choices are fuss free, fuss free but fashionable clothes,fuss free but fashionable stud earrings. 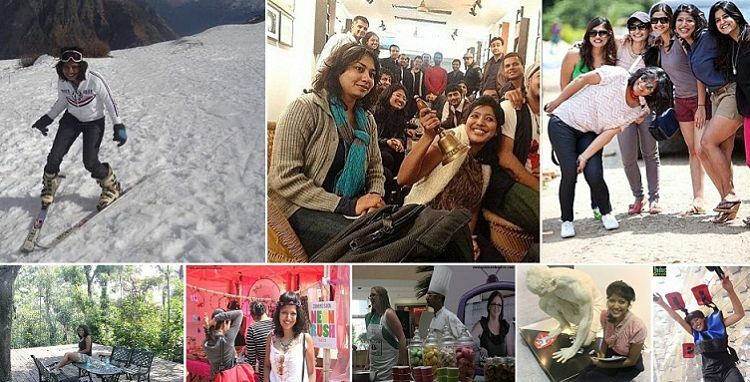 Something that defines me and my work – I do not think that being a travel blogger makes me wear baggy clothes. I love wearing what is in – It gives me strength to move forward. My brother along with me ad my family, did an All India Road Trip on Maruti 800,because that's all we had. An interesting turning point in my life was my failure to get into Airforce 2 years back but also my strength to move forward with the question that still haunts me “Why do you have to join Airforce to do something for the country” and I knew my answer- May be I needed a platform to do something about it and help states and people in tourism which lacks so .When I started blogging, I didn't know what it was about. I didn't know SEO,I didn't know people get invited to travel abroad. I didn't know how to make videos. I learnt along the journey that whatever path you wish for, gets created, all you need is a little confidence and the desire to move forward. All along,I learnt that traveling alone isn't scary, traveling with people makes one learn different cultures and traveling also broadens your perspective. The people behind adventure sports have their own stories of failure to tell, but now they are successful and that's all matters. The people who aren’t successful are satisfied.The people who aren't satisfied,complain. If I count back, I have had initial marital hiccups to confrontations to monetary deficiencies to severe health problems to rejections by editors and the constant desire to get at least a DSLR for my shoot, but now I realize that the most important lesson learnt back in life is to treasure people who are in your life. I picked up alternate professions in between to fulfill my financial desires. And now yes! I have a DSLR.My work has been appreciated by Fox Traveller,Deccan Chronicle and the likes. On days, when I feel nothing is working, I help my mom to play with her creative genius. She is an amazing artist and we both together help design my clothes. We share a bond now like never before. I see a new spark in her eyes, to go forward with her dreams. Ditto for my dad, ever since my own journey has started to fulfill, I see my dad being optimistic about his journey to Astrology after retirement. I see my brother too dreaming to chuck his MBA and start his career he wishes for. I see my husband supporting me like never before and I see his own career choices are slowly changing. I see my friends appreciating my work and when they need me I am always there.I see new people coming in my life and either I inspire them or they inspire me. I feel somehow I have reached a balance to support my family, my marital life and my career without impacting each other leading to fruitful and inspiring environment around. I also wish to expand and grow my blog to help the society more in terms of forming groups for volunteering for social causes. Although I have a long journey ahead, I think my work is as beautiful as the rising sunshine with new and creative ideas everyday and me and MIA are friends with similar interests. I don't think a travel and adventure blogger,has to be boring,I have a life that I wished I had. I believe in infusing all my creativity with my work...and not settling for anything less. To participate,submit your entries to http://mia.tanishq.co.in/bloggerscontest/ by 16th August.All the best. Your Blog posting and picture selection its nice and wonderful. Great to Celebrate oneself as that's the starting of a lifelong love-affair! Congrats for a Special prize!